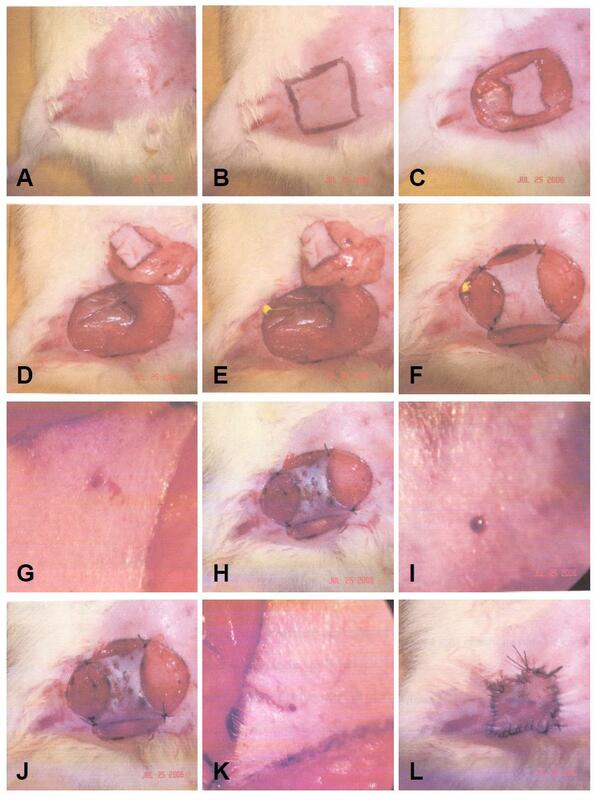 The introduction of free flaps with microsurgical vascular anastomosis has made recon-structions, that would have been considered impossible forty years ago, possible. The limitations of this technique are mainly due to necrosis of the transplanted tissue caused by blockage of the vessels of the flap’s vascular pedicle due to the formation of thrombi at the level of the surgical anastomosis. Thrombosis is handled by removing the throm-bus in the shortest possible time, thus allowing restoration of the blood flow. Currently clinical observation is the best way to evaluate the survival of a flap but, being subjective, it is dependent on the observer’s experience. The purpose of this study is to identify the first sure sign of venous thrombosis in a murine model of complete venous occlusion of the pedicle of an inguinal flap, postoperatively and after the restoration of blood flow fol-lowing a period of stasis; so as to simulate the monitoring of re-thrombosis after recanali-zation of a thrombosed anastomosis.